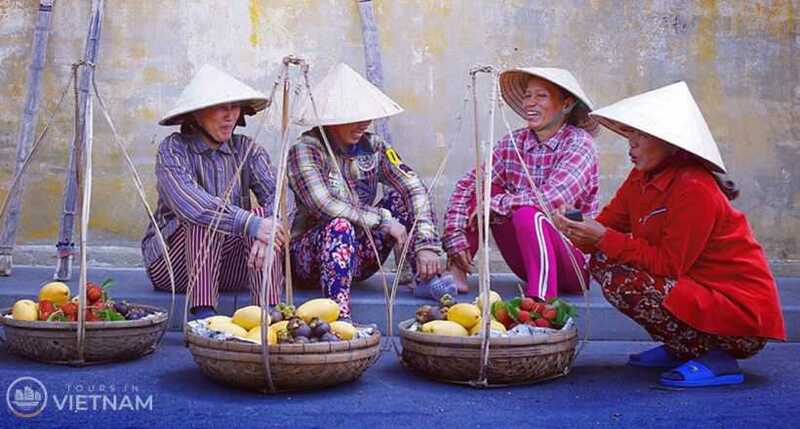 This well paced tour encompasses all the must see sights of Vietnam - Historic Hanoi, religious heritages in Asia, a cruise around spectacular Halong Bay, the ancient capital Hue, multicultural Hoi An, the mystical Mekong Delta and the bustling metropolis of Saigon. All of those you will take 14 days with us the most marvelous 14 days. Upon arrive in Hanoi, the car and tour guide of the Tours In Vietnam will pick you up at Noi Bai International Airport and then transfer to hotel for check in. The rest of the day is at your leisure to explore the city with tree lined boulevards, French Indochinese architecture and tranquil lakes of this unique city. Welcome dinner in a famous local restaurant with Vietnamese food. Overnight in Hanoi. Today you will enjoy a sightseeing tour with city's most highlighted sites, including Ho Chi Minh Mausoleum (closes on Monday and Friday), his traditional stilt house, One Pillar Pagoda and Temple Of Literature - the first University of Vietnam. Lunch at local restaurant. In the afternoon, visit the Ethnology Museum (closes on Monday), which is widely considered to be the finest modern museum in Vietnam and a tourist attraction in Hanoi to learn about culture of 54 ethnic groups in the country. In the late afternoon, watch a traditional water puppet show, then take a walking tour with your guide around The Old Quarter and Hoan Kiem Lake. Back to your hotel. Meals on your own. Overnight at the hotel. Remark: Ho Chi Minh Mausoleum closes from October to November for maintenance. Outside visiting will be arranged. We drive to Hoa Lu about three hours from Hanoi; it is located near the town of Ninh Binh province. Hoa Lu is the site of a 10th century capital of an ancient Vietnamese Kingdom called Dai Co Viet, Vietnam's first capital. You will visit the two remaining sanctuaries of the ancient citadel. Lunch at local restaurant. In the afternoon, take the amazing boat trip to visit Trang An Grottoes which are a gathering of 31 valleys, 50 cross-water caves, and home to 600 kinds of flora and over 200 kinds of fauna, many of them in the Red Book of Vietnam. While rowing through Trang An grotto in the quiet, fresh air of the highlands, with only the sound of birds and the oars stirring the clear water and surrounded by magnificent forested mountains upon which graze white goats, visitors enjoy a heaven on earth. The end of the day, leave Trang An and drive back to Hanoi. Arrive Hanoi in the early evening. Free at leisure. Overnight in Hanoi. After breakfast at hotel, we will drive 3.5 hours through the lush scenery of Vietnam countryside to Halong Bay, enjoy the breathtaking beauty of the World's Natural Wonder. Start cruising around the bay to see the amazing karsts with different formations: Lion, Tea Pot, Toad, Dau Nguoi (Human Head) islets, then stop for a walk through the Sung Sot (Amazing Cave). The junk arrive TiTop island, you will have 1 hour for visiting, climbing and swimming. Enjoy a wonderful sunset dinner before retiring to the comfort of your cabin. Overnight on cruise. Remark: The detailed cruise program depends on the cruise that you choose. On this second cruise date, you would gather with other cruise passengers who join in the 3 days 2 nights cruise program. Continue discovering Halong Bay in the off-the-beaten-track areas; admire the majestic landscapes, be deep in the sea for swimming, enjoy kayaking, and so much more. Enjoy the second night on cruise. This morning, we will enjoy breakfast on boat and watch the sunrise from the deck as your boat sails back to the harbor (some light sightseeing activities might be included depending on the cruise that you choose). Depending on the availability of time after disembarking,our driver will take you go straight to Noi Bai Airport in Hanoi for a short flight to Danang. Upon arrival at Danang Airport, a private vehicle will be waiting for you for the 40 minute drive to Hoi An. Overnight in Hoi An. 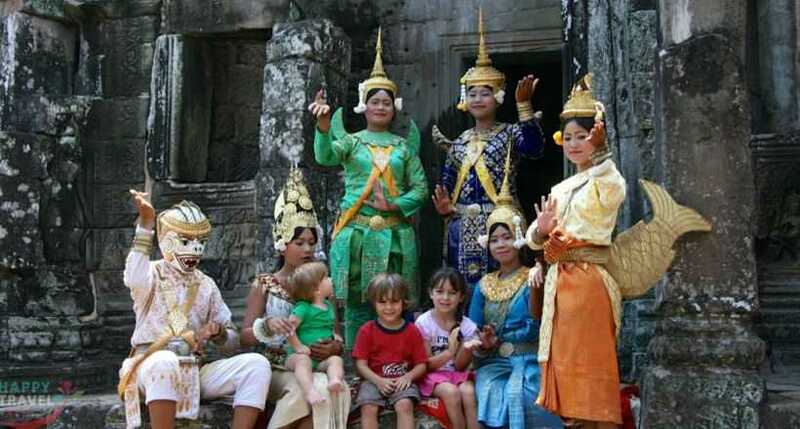 Discover Vietnam's rich cultural & historical heritage, visit My Son, Tra Kieu, view the Cham ruins and artifacts. 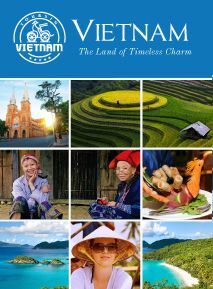 After breakfast, we will discover Vietnam's ancient architecture, the national character, rich cultural and historical heritage and visiting My Son Relics. My Son was recognized as UNESCO World Heritage Site in 1999, the capital and religious centre of the Champa Kingdom and Tra Kieu, the temples of My Son were the most important temples of the Champa Kingdom between the 4th century and the 13th century (formerly known as Simhapura or the Lion Citadel) to view the Cham ruins and artifacts. Lunch at a local restaurant. This afternoon, a walking tour of Hoi An Ancient Town centre will take you back in time to when it was a major trading port in Asia. Overnight in Hoi An. After breakfast at hotel, you will leave Hoian for a drive to Hue - The Former Capital of Vietnam. On the way to Hue, we will visit ancient architecture in Cham Museum in Danang that is the finest collection of Hindu-Cham sculptures in the world. Then spend time to take photos from Hai Van Pass. Continue driving along the scenic coast of central Vietnam, contemplate panoramic views of the surroundings before descending to the picturesque fishing village of Lang Co. Lunch at local restaurant. In the afternoon, arrive in Hue, check in hotel and enjoy your own free time here.Overnight in Hue. In the morning, you will pay a visit to the Imperial Citadel and enjoy a boat trip to Thien Mu Pagoda. Lunch at local restaurant. In the afternoon, visit a typical garden house which was built according to precise rules of geomancy and experience the serene and pleasant feelings it might bring you. Visit Minh Mang Mausoleum, one of the most beautiful tombs of Hue. It was inspired by the calm and is a model of Vietnamese traditional art. It is also an opportunity to learn about the history of Nguyen Dynasty and the French colonial period. Dinner on your own. Overnight in Hue. 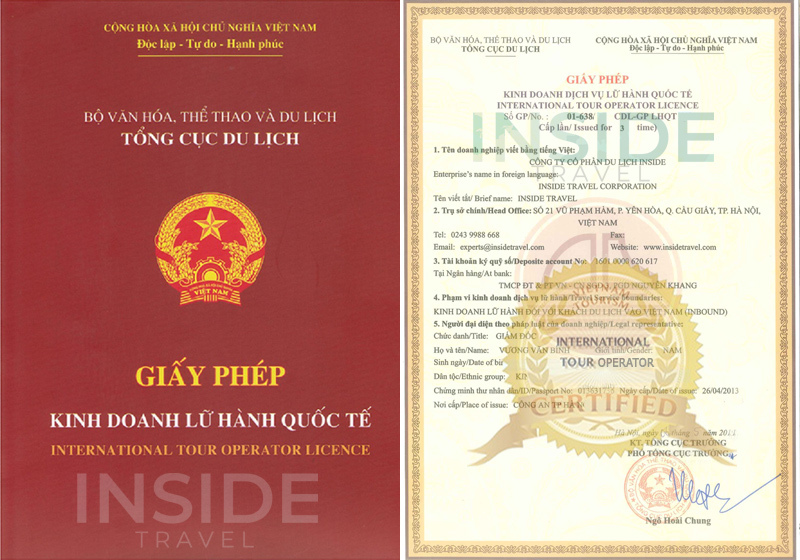 Today, you are totally free on your own till transferring to the airport for a short flight to Ho Chi Minh City. Upon arrival, the local guide will welcome you at the arrival lobby, transfer to your hotel in the downtown for check-in and relax. Discover the streets corners at your leisure. Overnight in Ho Chi Minh City. After breakfast at hotel, your private guide will meet you at your hotel lobby. A one and half hour drive takes you to Cu Chi Tunnels where human knowledge has been enriched by experiencing an web-like tunnels system of more than 200km in length which used to be the shelters of guerrillas during the war against American troops. Lunch at a local restaurant. In the afternoon, have a city tour including the Reunification Hall, formerly known as the Presidential Palace. It was towards this modern building that Communist tanks rolled on the morning of April 30, 1975, as Saigon fell. This fascinating building is filled with history still fresh in the minds of many. The tour also includes the War Remnants Museum or History Museum, the Old Post Office, Chinatown and Binh Tay Market – the central market for the city and one of the liveliest areas. Note: History Museum is closed on Mondays. This morning, a 2 hour drive will take you from Ho Chi Minh City to Ben Tre Province. Upon arrival, the boat will pick you up at Phong Nam Pier. Boating along An Hoa River, Visit charcoal workshop,coconut processing workshop.Stop at brickwork to see how to make bricks in handy traditional style by printing and baking and visit rice paper cake workshop. Turn on natural scissors creeks where they look smaller and smaller to go to village. Stop at candy workshop, have a look and try some.Take a walk to family workshop making sleepmats. Take a tuk tuk on shady paths, pass by green rice fields and vegetable plains. Lunch at restaurant riverside. In the afternoon, take rowing-boat along water palm creek. and boat back to Hung Vuong Pier. Boat trip ends. The car will take you back to your hotel in Ho Chi Minh City. Arrive and check in your hotel in the early evening. Free on your own. Overnight in Ho Chi Minh City. Free time at your leisure, sightseeing, shopping, buy souvenirs, and take photos until transfer to Tan San Nhat Airport for your onward flight. End of services.